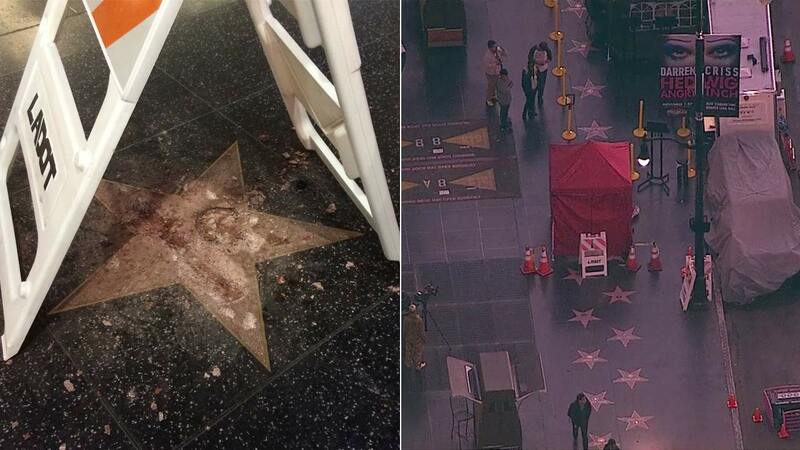 HOLLYWOOD, California -- Los Angeles police are investigating a pre-dawn attack that destroyed Republican presidential candidate Donald Trump's star on the Hollywood Walk of Fame less than two weeks before the election. The Hollywood Chamber of Commerce, which bestows the stars and maintains the popular tourist attraction, said it would quickly repair Trump's spot, but it would take several days before it would visible. Det. Meghan Aguilar said investigators were called to the scene Wednesday following reports that the presidential candidate's star was struck by blows from a hammer. A sledgehammer, construction hat and vest, and a pick were recovered nearby, Officer Sal Ramirez said. A man who identified himself as Jamie Otis said he's responsible for the damage, telling the website Deadline Hollywood that he originally intended to remove Trump's star. He says he wanted to auction it off to raise funds for the 11 women accusing the presidential candidate of groping them. Trump has denied the groping allegations. Aguilar said she was aware of the Deadline report but couldn't comment on whether Otis is a suspect.